All things being equal, people would rather do business with people they know or know of, as opposed to a stranger. Many business owners depend solely on referrals to generate business, but don’t have a consistent strategy to use referrals and word of mouth to generate leads. 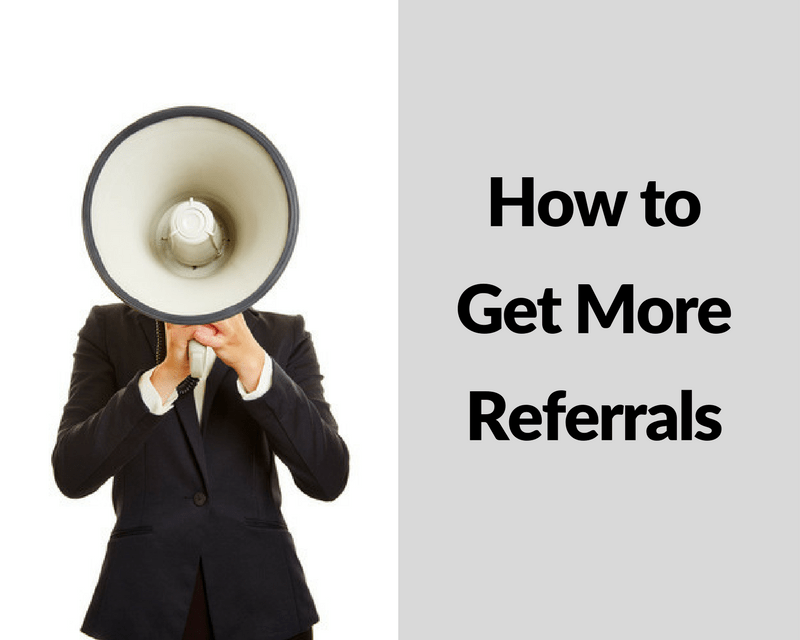 Referrals are possibly the most powerful marketing strategy around. Nothing beats a quality introduction. If handled properly you are pushing on an open door to clients and customers that need your services. That’s because what other people say about you is more believable than what you say about yourself. Word of mouth recommendations and introductions are an amazingly effective way of getting new clients. Most of us can usually convert a referral into a new client and having a steady flow of referrals is an essential marketing strategy that we all need to have. It’s often the case that we don’t get referrals because we don’t ask for them. The easiest and quickest way to get a client to refer someone to you is by simply asking them. From my experience, clients are happy to help with referrals if you have done a good job. Why don’t business owners ask for referrals? When you ask someone to refer you, there is an inherent fear that you are going to ‘sell’ to their friends or colleagues. With this in mind, timing is everything. Without doubt the best time to ask is when your client has had a success or you have clearly delivered value and improved their situation. Be sure to ask for a warm introduction to other decision makers that are in a similar position to them. You are looking for people to set up meetings, not a full on sales pitch. Don’t let referrals be a happy accident. You are helping clients with solutions, benefits and results so you need to plan ahead. When you meet or talk on the phone with clients you can mention that you are looking for introductions and opportunities to help people just like them with similar problems that want similar results. Don’t wait until the end of the project – if they have achieved a milestone of had a success that is a signal to ask if they have any connections that want a similar solution. Be alert to situations where you can ask for introductions. 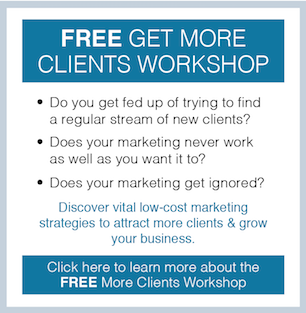 If you are thinking that your clients are unlikely to refer you, that’s not the case at all. Research has shown that over two thirds of clients say they are prepared to recommend their service providers, but only 6% say they have ever been asked. What a missed opportunity! This is largely down to not having a system that ensures requesting referrals become a priority and a natural part of your relationship with clients. Most clients are keen to help and introduce you to their contacts without a reward or incentive, if they are asked in the right way at the right time. A ‘thank you’ and feedback on the outcome is all that’s required. Depending on your industry, incentives and rewards work well. In some professional service providers, a finder’s fee is appropriate. Many insurance companies offer an ‘introduce a friend’ scheme – Uber have enjoyed huge success through their double referral scheme where the referrer and the new customer are offered incentives for travelling with them. Sometimes we can’t see the wood for the trees. If you deliver outstanding work for your clients then create a simple system that you feel comfortable with – don’t be afraid to ask.